Profile: The main objectives of the Swiss OR Society (SVOR/ASRO) are to promote Operational Research in Switzerland, to bridge the gap between the theory and the practice of OR, and to represent the interests of the Swiss OR Community in all relevant organizations. The Swiss OR Society is active in the organization of joint conferences with French speaking (FRANCORO) and German speaking OR Societies. 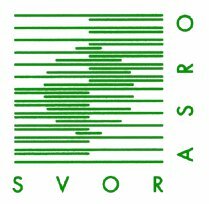 In order to promote OR in Swiss High Schools and Universities, SVOR/ASRO regularly awards prizes for outstanding research works of Ph.D. and diploma students. On a regular basis, the Swiss OR Society organizes international workshops on “hot” topics where OR has an important role to play. The aim is to create links between OR researchers and practitioners.